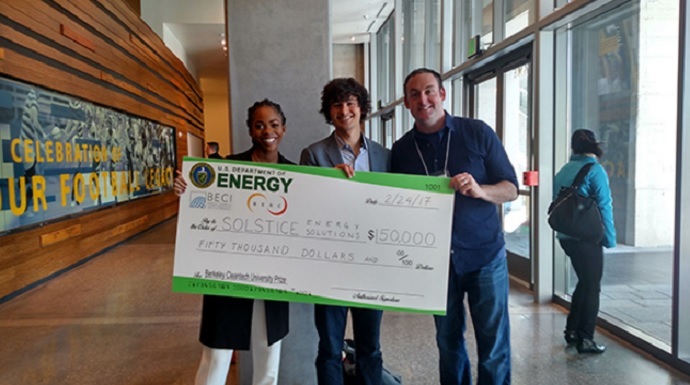 Nigerian startup Solstice Energy Solutions has been named the winner of this year’s Berkeley Cleantech University Prize (CUP), taking home US$50,000 in prize money. The Berkeley CUP is an annual competition that is a collaboration between the Berkeley Energy and Climate Institute (BECI) and BERC, and part of a US$2.5 million programme funded by the Department of Energy’s Technology to Market Program. Solstice Energy Solutions was named the winner after a live pitch competition at the Berkeley Energy and Resources Collaborative (BERC) Innovation Expo. The company uses the Internet of Things (IoT) to help African homes and small businesses manage energy simply, use it efficiently and find clean, money-saving solutions. It relies on data-driven approaches and integrated technology to solve energy challenges for homeowners and small businesses that rely on both grid and distributed energy sources. Their product the Shyft combines the functionality of a smart transfer switch and energy meter to allow seamless shifting between energy sources, enabling better efficiency and simple energy management. Solstice will now go on to compete for the US Department of Energy’s National Cleantech University Prize.